Unions representing ICE personnel raise concerns about Ronald D. Vitiello that senators say they must look into. 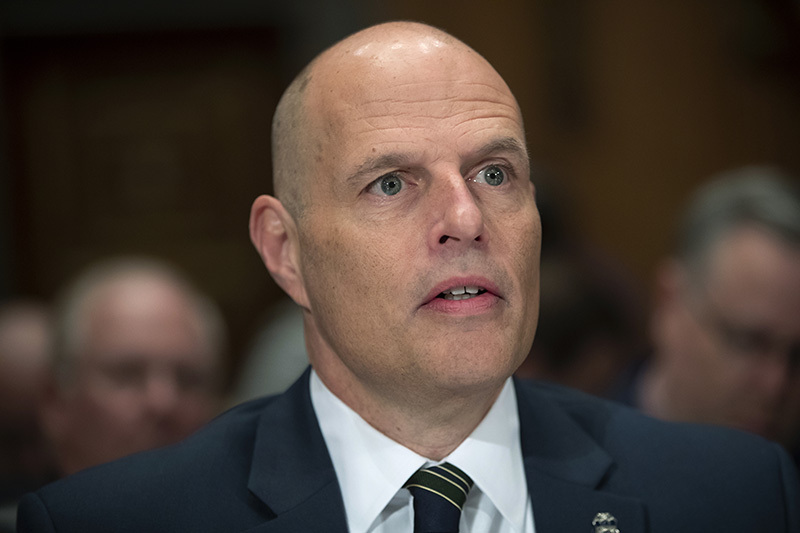 A key Senate committee delayed a vote on President Trump’s pick to lead the main agency handling immigration enforcement, as a coalition of unions raise “serious concern” about Ronald D. Vitiello’s ability to effectively lead the agency. Sen. Ron Johnson, R-Wis., the committee’s chairman, said the vote on Vitiello was being delayed so that senators could perform “due diligence” into those concerns raised by unions representing Immigration and Customs Enforcement personnel. One issue they raised in a letter to the Senate Homeland Security and Governmental Affairs Committee is Vitiello apparently sharing images of Trump on Twitter that compare the president to the cartoon character Dennis the Menace. “The nominee to be considered by the Committee, Mr. Ronald D. Vitiello, has only been with ICE for a short period of time, and while this letter neither supports nor opposes his nomination to be our Director, we are aware of several matters that give us serious concern about him,” the unions said. Johnson said the committee could vote as early as Thursday on the nomination, which would then have to go to the floor for a final confirmation vote.